Hopkins, MN, an inner-ring suburb in Minneapolis’ west metro, is one of those underrated places where the downtown still has a small-town feel to it, with its mix of antique stores, restaurants, a movie theater, and even a brewery. 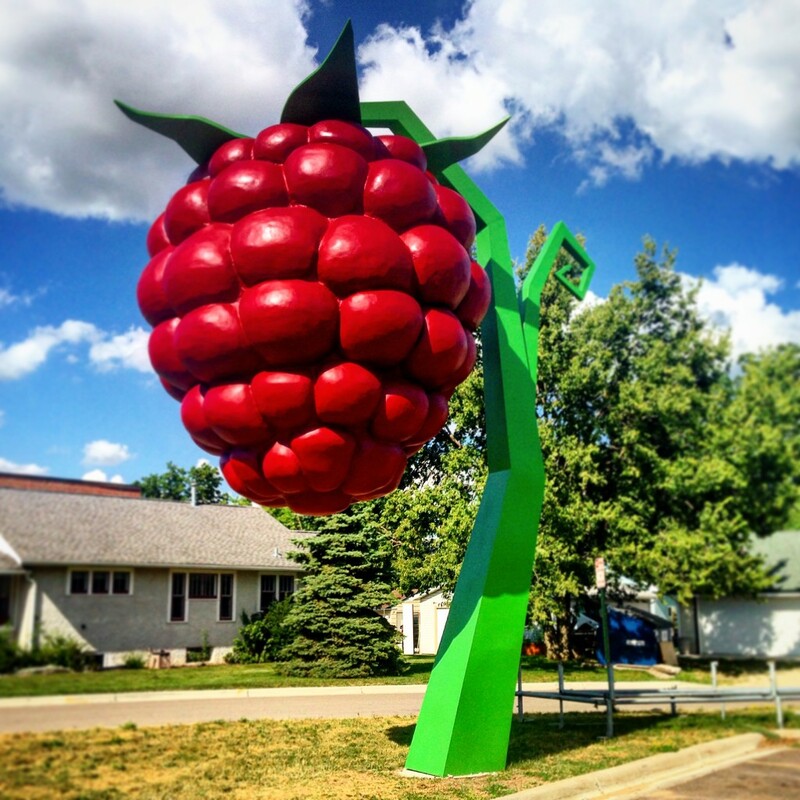 And in July of 2017, they got back on our radar when they unveiled one of Minnesota’s newest and brightest roadside attractions: the World’s Largest Raspberry. 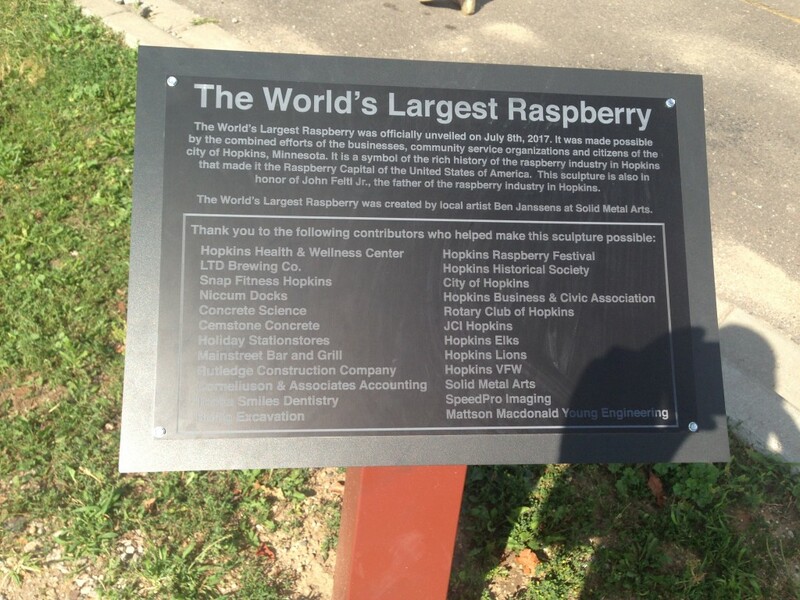 Each year, Hopkins holds an annual “Raspberry Festival,” with 2018 being the 84th consecutive year. The festival began during the Great Depression at the peak of raspberry picking season (July) where local growers brought their produce in from Hopkins’ verdant raspberry fields. The celebration was a success and became a yearly tradition. One year, a bull pulling a raspberry cart got loose and ran wildly around town. Fortunately no one was hurt and the bull was returned safely to the farm. Nowadays, it’s a classic town festival, complete with a parade, live music, meat raffles, and a golden raspberry hunt. It took until 2017, but Hopkins finally got their 1,000 lb., brightly-colored raspberry, suspended from a 22-ft steel vine. It sits about a block north of downtown and makes for a great photo. The town came together and pitched in $55K for it and officially unveiled it during the 83rd annual festival in 2016. It was created by local artist Ben Janssens at Solid Metal Arts in Northeast Minneapolis. 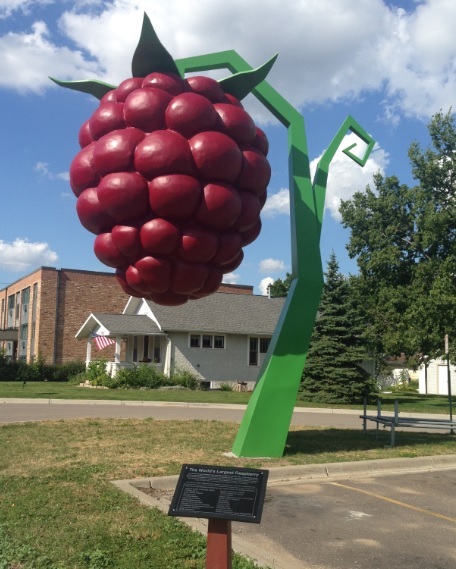 The sculpture is dedicated to John Feltl Jr., the father of Hopkins’ famed raspberry industry that made the town what it is today. 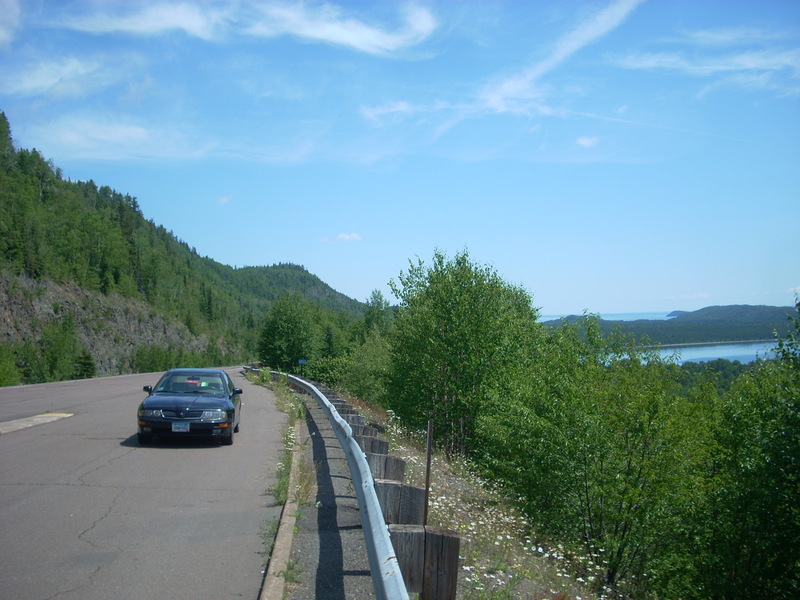 While in the area: The Raspberry sits next door to LTD Brewing, a great little Twin Cities craft beer-maker, or hop on the nearby Highway 100 and check out the famed Beehive roadside parks.